A huge Champions League clash is set to take place at Old Trafford on Tuesday night as Cristiano Ronaldo's Juventus visit Manchester United. Manchester United host Juventus at Old Trafford in game week 3 of the 2018/19 Champions League campaign. United come into the game with a win and a draw from their previous two games in Europe, beating Young Boys 3-0 before a tedious 0-0 draw against Valencia. Juventus, on the other hand, have a perfect record thus far having beat Valencia 2-0 prior to a 3-0 victory over Young Boys. All eyes will, of course, be on Cristiano Ronaldo as he makes his second appearance at Old Trafford since leaving for Spain at the end of the 2008/09 season. In his initial return to Manchester, Ronaldo scored the winning goal for Real Madrid to knock United out of the Champions League in Sir Alex Ferguson's final season at the helm. Alexis Sanchez will miss out on the game having also been absent for training whereas Antonio Valencia is in with a shout to return to the starting eleven. Diogo Dalot, Phil Jones, Marouane Fellaini and Jesse Lingard were the others missing from the preparation at the Aon Training Complex and may be out for the game on Tuesday evening. Until this weekend, Juventus held a 100% record in their games this season, winning eight of their nine league games and a further two in the Champions League. Ronaldo himself has contributed with five goals and four assists, claiming his 400th career league goal in the process against Genoa last time out. Have United turned their season around? Jose Mourinho's last two games have possibly saved him his job in the current period. Before the international break, Manchester United overcame a 2-0 deficit against Newcastle United to win 3-2, Alexis Sanchez proving to be the match winner. Last weekend, another possible make-or-break game for the Portuguese manager occurred as his current side met his old team Chelsea at Stamford Bridge. 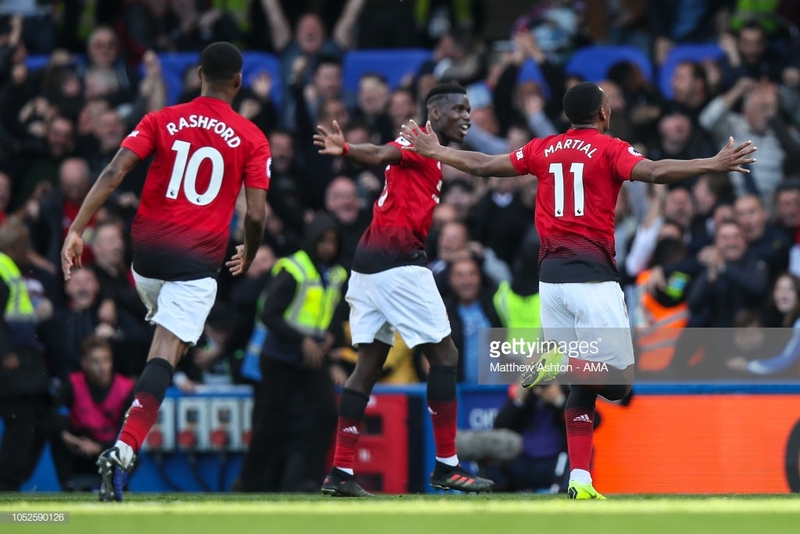 Having once again been a goal down, a second-half brace by Anthony Martial took the Reds into a 2-1 lead up until the final minute of the match where Ross Barkley made it 2-2. What was evident in both games was the fighting spirit shown by United to stand back up when being knocked down. As reports circulate that Mourinho has lost the dressing room, recent events ridicule the stories, but to truly get themselves back into contention for a top trophy, United must slay a giant and Juventus' visit could prove the perfect opportunity.